Xenophon was a follower and a student of Socrates. So when his friend Proxenus had extended the invitation for him to join a group of mercenaries, which would be under the direction Cyrus, with a mission to “quail the revolt by the Piasidians” he consulted his mentor and friend Socrates concerning his decision (Prevas, 2002). Socrates referred him to the divinely inspired Delphic oracle. However, when Xenophon visited the oracle he did not inquire if he should go or not. He asked which gods he should pray to and does sacrifice, so that he could best accomplish the mission. When he returned and told his mentor what he had done, Socrates chastised him for being so disingenuous (Xenophon, 2012). Tissaphenes discovered what was going on and had some of the men put to death, while others were exiled for seceding to Cyrus. Miletus was the exception because he was the on the warned Tissaphenes about the people who were seceding to Cyrus. The exiles were rounded up and were assembled into an army which over took Miletus. Then Cyrus sent a message to his brother the king and his mother that said that these cities should be given to him instead of Tissaphernes. Cyrus’ mother supported him and the king granted the cities to him. Cyrus continued to send money which he collected from the cities to the king in an effort to deceive him, so he would not be suspicious about the situation. At this point the armies still did not know about what Cyrus intended to do. He would wait until he called them to Asia Minor. However it is likely that the most senior commanders such as Clearchus, Xenias and Cheirisophus knew that Cyrus really intended to go against his brother the king (Waterfield, 2006). Cyrus also applied to Sparta for aid when he began to assemble his troops for an attack on his brother. His request was granted and admiral Samimus was ordered to render assistance. A Spartan fleet, of 35 ships sailed, with Chirisophus and seven or eight hundred hoplites on board sailed to co-operate with Cyrus on the coast of Cilicia. Cyrus made every effort to conceal the report that Chrisophus would be in charge of the Spartans (Booner, 1915). This demonstrates the lengths that Cyrus went to be sure that no one discovered his real intent to over through his brother. 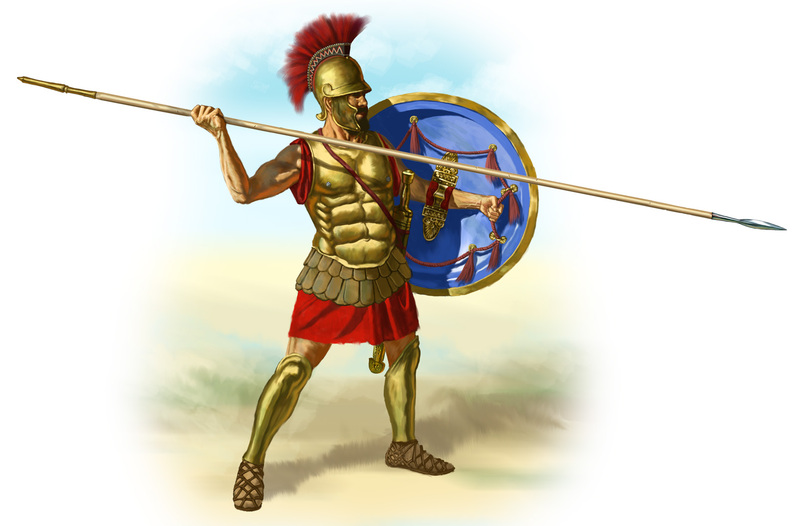 Below is an image of a hoplite in his armor (Ancient Greece, 2006). Cyrus continued to assemble his army and when the time seemed right for the march up country, the excuse he gave was that he wanted to drive the Pisidians out of the territory once and for all. At this point he assigned the various troops to their commanders. When all of this came to the attention of Tissaphernes, it struck him as too extensive for a campaign. So, he traveled to the king as quickly as he could, and when the king heard from Tissaphernes about the size of Cyrus’ army he began to prepare to meet him (Xenophon, 2009). Prevas, J. (2002). Xenophon’s march: into the l.air of the Persian lion. Cambridge: Da Capo Press.